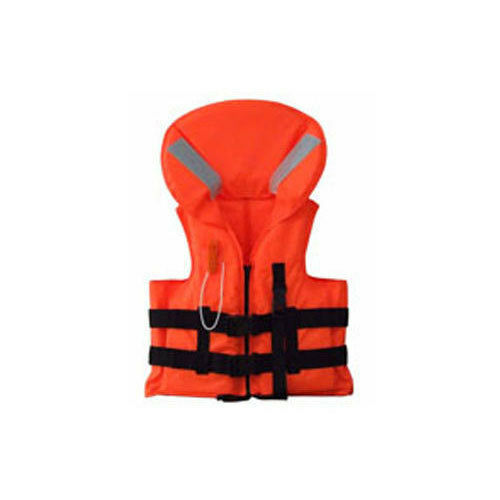 To meet the various requirements of the customers, we are involved in offering a wide assortment of Boating Vest Life Jacket. SOLAS life jackets come under Directive 96/98/EC of the European Union, which refers to the obligatory marine equipment on EU vessels. In addition to life jackets, this regulation also includes all types of personal life saving appliances that may be required on-board community ships. The life jackets in this category are approved to the SOLAS (Safety Of Life At Sea) regulations and should always bear the relevant certification, in this case the ship's wheel mark. SOLAS life jackets can save a person's life anywhere and irrespective of most weather conditions. Therefore, the tests that these life jackets are subjected to, are far more demanding. Much greater emphasis is given on their effectiveness as lifesaving appliances than on their asthetic appeal. The owner is required to equip the vessel with the required number of SOLAS life jackets and ensure their accessability in the event of an emergency. SOLAS life jackets are not as comfortable as 100 Newton life jackets or buoyancy aids. SOLAS life jackets are only worn when required, and are able to keep the wearer afloat, irrespective of their size, and weather conditions. Most SOLAS life jackets are designed in the form of lifebelt. When required the jacket should be fitted headfirst, the straps should fit well without being too tight or too loose. The jacket should always be worn with the retro-reflective tape uppermost. It is the shipping company's responsibility to ensure that all life jackets are well maintained . The replacement of SOLAS life jackets must conform to the specifications as required by the surveyors of the National Marine Administration or the Classification Society.